We honor and venerate the Holy Family. The picturesque image of mother, father & baby surrounded by nature's love and the support of wisemen. We keep the Holy Family a symbol of nobility of manner, decency and solemnity. It's beautiful. I find a Christmas miracle in the idea of the Holy Family, but not the obvious Christmas miracle. Of course I believe in the miracle, but the miracle I uncover is another–the birth of love independent of judgment, separation and classification, the upholding of the dignity of women and the immensity of trust. The Holy Family began with the out-of-marriage pregnancy of a teenage girl. Extraordinarily, Joseph, a man of the times, a carpenter–call him a contractor in our era, chose to stay with his pregnant-by-another fiancé when he could have had her stoned. I have goosebumps as I write this and I think of the greatness of God's love in allowing the unfolding of the birth of Jesus to be so human and imperfect. God, in whom all things are possible, could have just sent his son in a cloud, appeared him magically or have the earth spit him out supernaturally for all to see. He, however, chose a woman to give birth to his son. He asked her, through an angel. He didn't order her. He considered her. He uplifted her role of woman and respected her free will. She responded with a trusting and faithful yes. Joseph, gifted with the same free will, became husband and father of a son he didn't engender. The Holy Family was born. 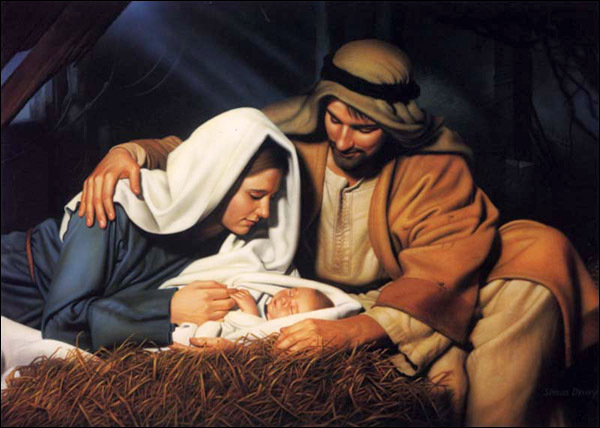 Both Mary and Joseph trusted in each other and in God, and reverence in relationships was conceived.